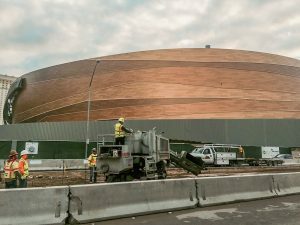 Sahara Concrete used their 5700-Super-B to pour approximately 2,000 linear feet of A-curb and L-curb/gutter around the new T-Mobile Arena in Las Vegas. “As always, the machine performed without issue,” said Danny Clayton, Vice President at Sahara. 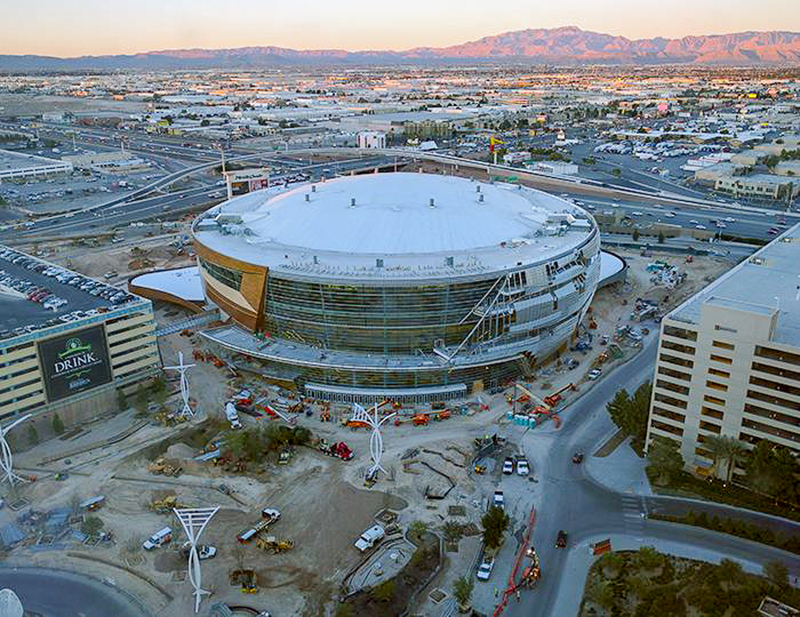 The arena is part of a new development project called “The Park,” which will combine the casino hotels and the arena to form a new destination for retail and dining in Las Vegas. Located west of the Strip between New York – New York and Monte Carlo, the T-Mobile arena opened in April and boasts a 20,000-seat capacity. It was a joint venture between MGM Resorts International and Anschutz Entertainment Group (AEG). The arena will also be home to a new NHL expansion team, which is expected to debut for the 2017-2018 hockey season. Despite the challenges of the job, Sahara was proud to leave their mark on this new addition to the Strip. 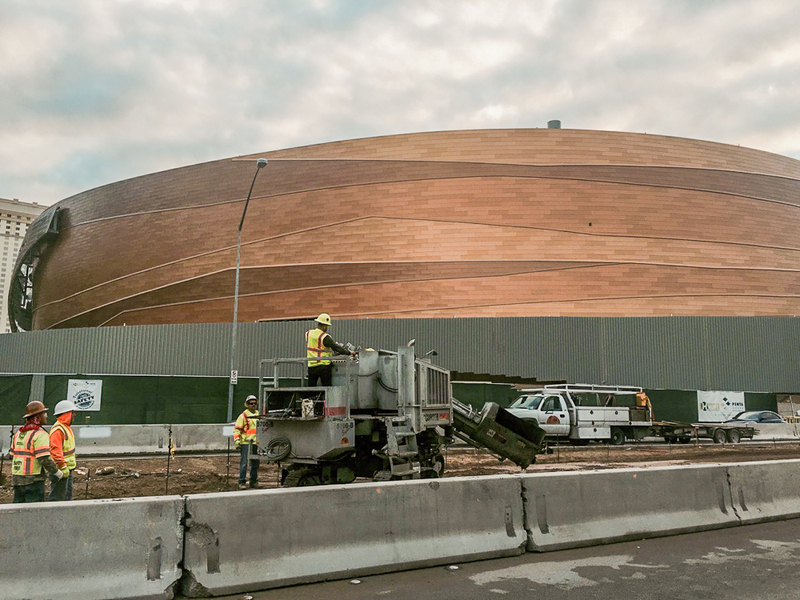 “Being a part of the arena construction itself was great – it was a very notable project,” said Clayton.